Imagine trying to get through an intersection in your car when all the traffic signals are out— you all want to use the intersection, but you had better use it one at a time. You finally get through the intersection based on a lot of variables—on how tentative you are, how big the other cars are, how new or old your car is, and how much you value your own life! Regardless, you cannot allow cars from every direction to enter the intersection at the same time without having some potentially serious collisions. With some types of physical networks, data frames can collide if devices can send any time they want. When frames collide in a LAN, the data in each frame is corrupted and the LAN is unusable for a brief moment—not too different from a car crash in the middle of an intersection. The specifications for these data-link protocols define how to arbitrate the use of the physical medium to avoid collisions, or at least to recover from the collisions when they occur. 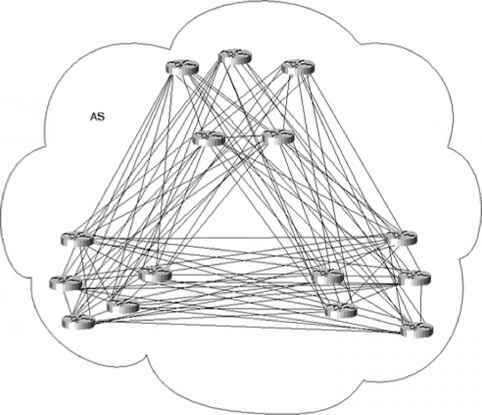 Ethernet uses the carrier sense multiple access with collision detection (CSMA/CD) algorithm for arbitration. The CSMA/CD algorithm is covered in the upcoming section on Ethernet.